IMG_5570, originally uploaded by thinaar. 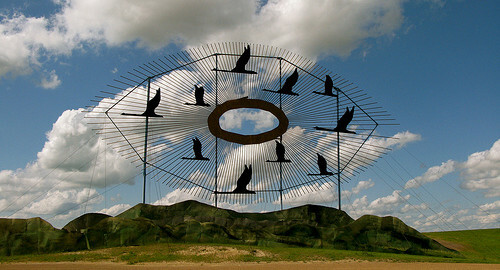 Outsider Art, part of the Enchanted Highway in Western North Dakota. IMG_5588, originally uploaded by thinaar. 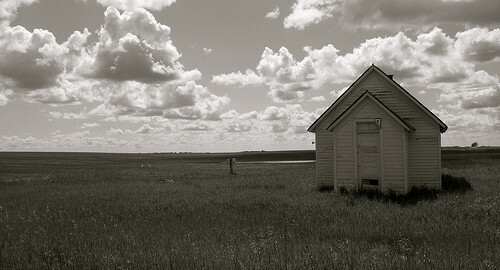 Photo from my day-long driving trip through rural North Dakota, in search of ghost towns. Turns out “ghost towns” means something different in North Dakota than in, say, Arizona, where mining towns dried up a hundred years ago and you are basically seeing a graveyard of buildings. In North Dakota the towns die gradually. Most have a few houses still standing; the rest are in slow decline. Chris Devlin and Sarah Lord in rehearsal for Patient Boy at 14 Wall Street. Part of a new workshop performance I am writing, developed by Mallory Catlett. A lot of drama.